Every conservation society needs a martyr – a demolition so outrageous and shocking that the press and public realise the need for the society. With the Georgian Group, it was the Adelphi; with the Victorian Society, the Euston Arch. For the Twentieth Century Society (then the Thirties Society) the Firestone Factory became its martyr in 1980. 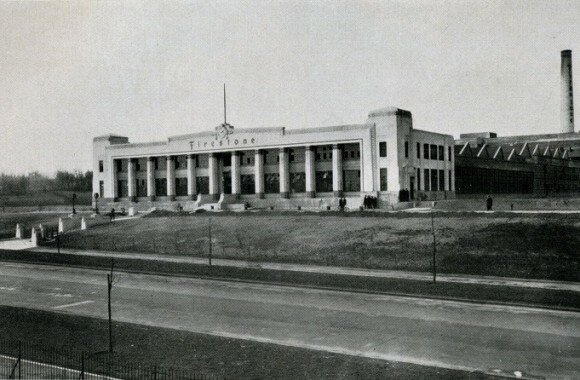 Wallis, Gilbert and Partners designed it, and the Hoover Factory (1932), in the style now known as Art Deco but then called jazz modern or moderne. 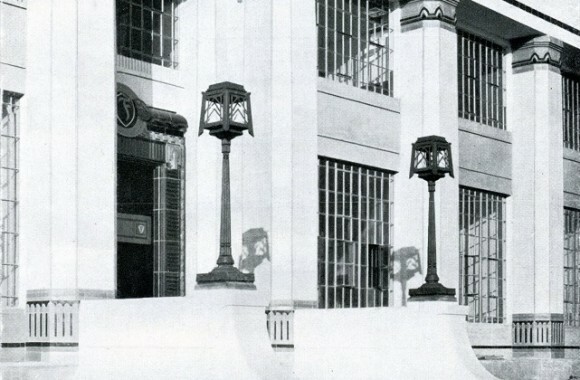 At the time, the influential Architectural Review championed the Modern Movement and the moderne style was anathema. By 1979, when Marcus Binney and Simon Jenkins asked me to join them in founding the society, this view was in retreat. Ornament had begun to seem a tempting alternative to barebones functionalism and the New Brutalism. 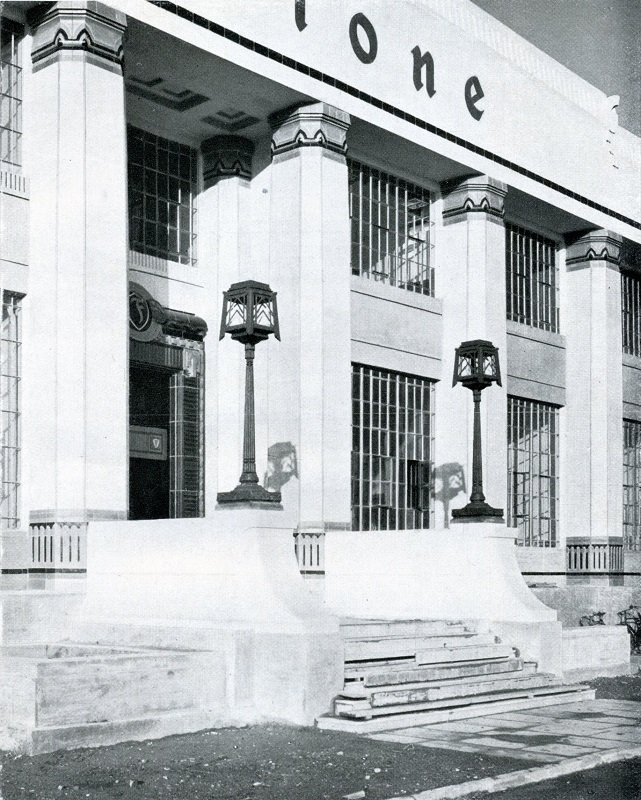 The Firestone Building was a distinguished example of Art Deco, built for the American tyre manufacturers, the Firestone Tire and Rubber Company of Akron, Ohio; and the design of the whole building, not just the façade, was based on that of an Egyptian temple. 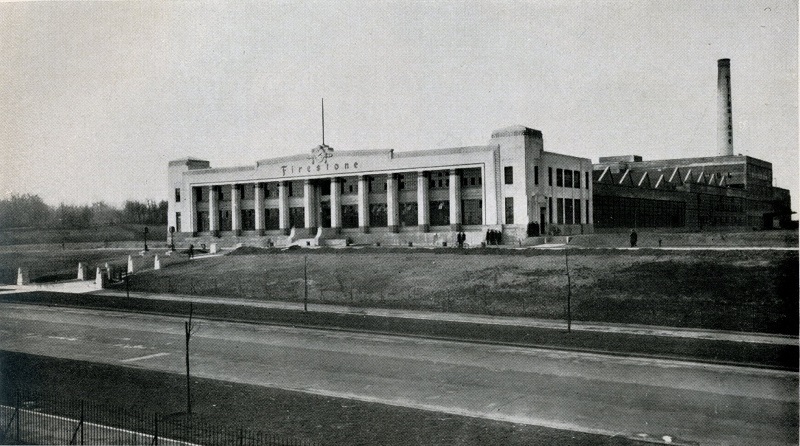 Just afterwards, senior civil servant Brian Anthony ‘serendipitously knocked on Heseltine’s door and came up with a plan to prevent the Firestone debacle from happening again’ (obituary in The Times); one of his triumphs was to save the Hoover Factory. 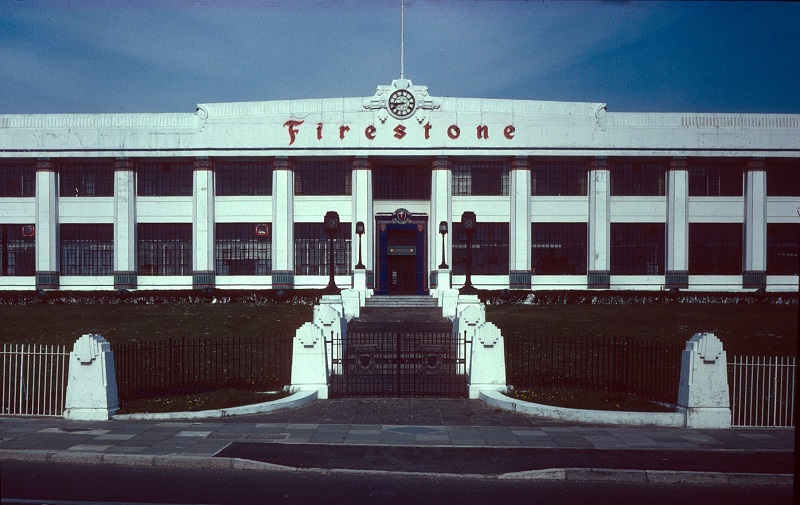 That would probably not have happened but for the martyrdom of the Firestone.